2012 Shäfer-Fröhlich Bockenauer Felseneck Riesling Spätlese - very floral, peachy, tropical, with minerals and a little sulfur. A little fizzy on the tongue. 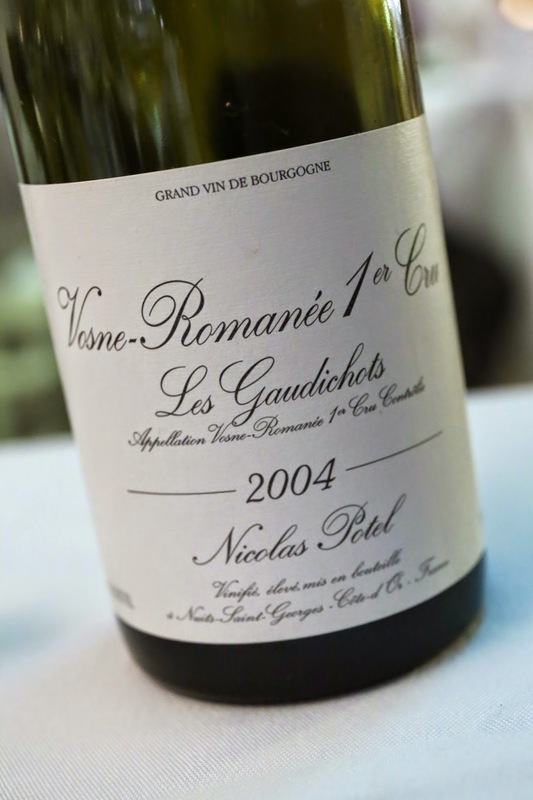 2004 Nicolas Potel Vosne-Romanée 1er Cru Les Gaudichots - lovely fruit here, black cherries. Fragrant and a little floral. Initially body was a little light but built up over time. 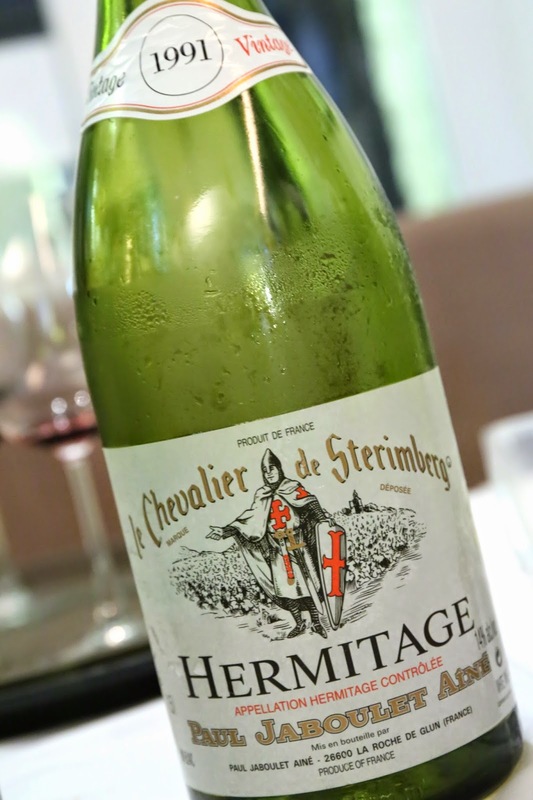 1991 Jaboulet Le Chevalier de Sterimberg en magnum - big nose of heavy toast, with polyurethane. Ripe on palate. A pretty big wine. 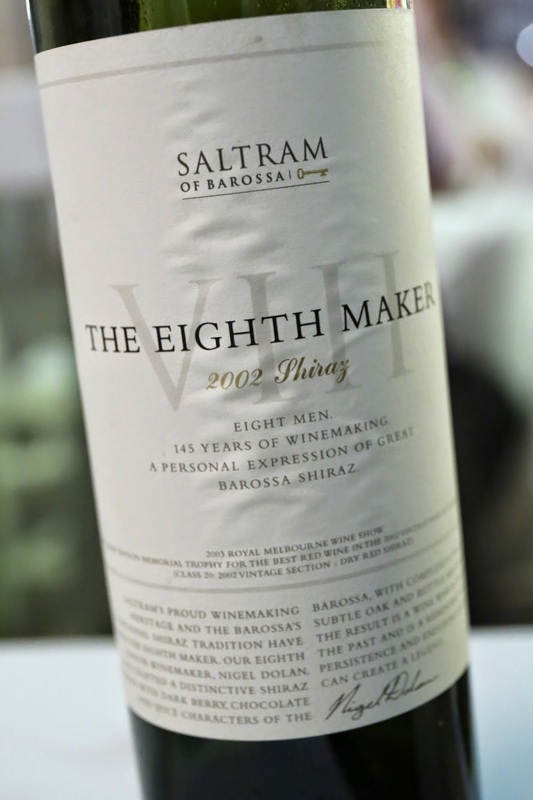 2002 Saltram Shiraz The Eighth Maker - a total Aussie Shiraz. Minty, sweet and exotic, like tropical coconut. 2000 Tyrell's Pinot Chardonnay Vat 47 - lots of toasty oak, lemon. Ripe on the palate but still got nice acidity here. 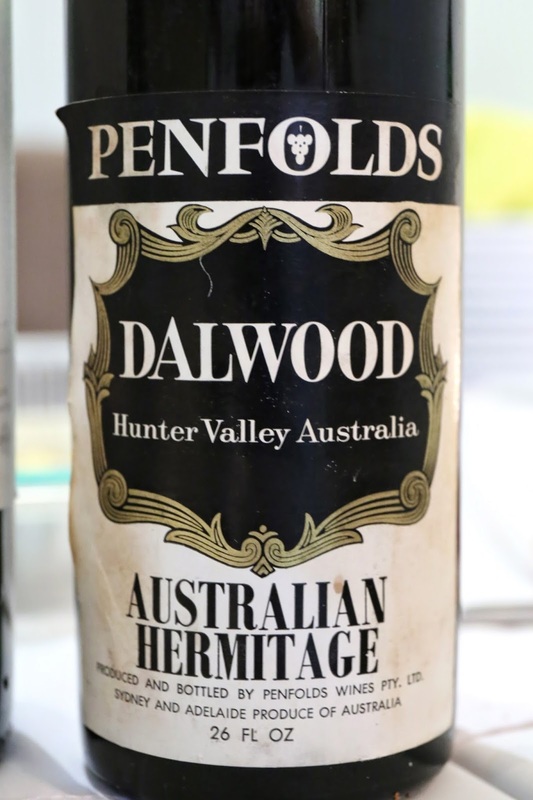 1970 Penfolds Dalwood Hermitage - a little stinky, like manure, or "barnyard". A little dusty. Very soft on the palate. 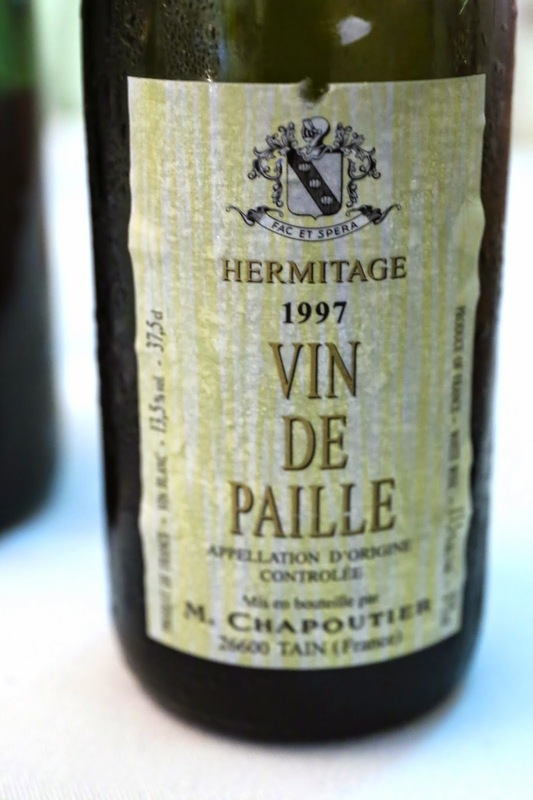 1997 Chapoutier Hermitage Vin de Paille en demi-bouteille - color has turned dark brown, which was unexpected. Very nutty, lots of marmalade, a little botrytis. Very unctuous and viscous.